Heat oven to 400°F. Spray 13x9-inch (3-quart) glass baking dish with cooking spray. 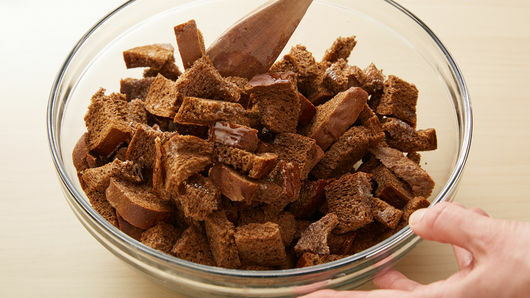 In large bowl, mix bread cubes and melted butter; toss to mix well. Place 4 cups of the bread cubes in baking dish. 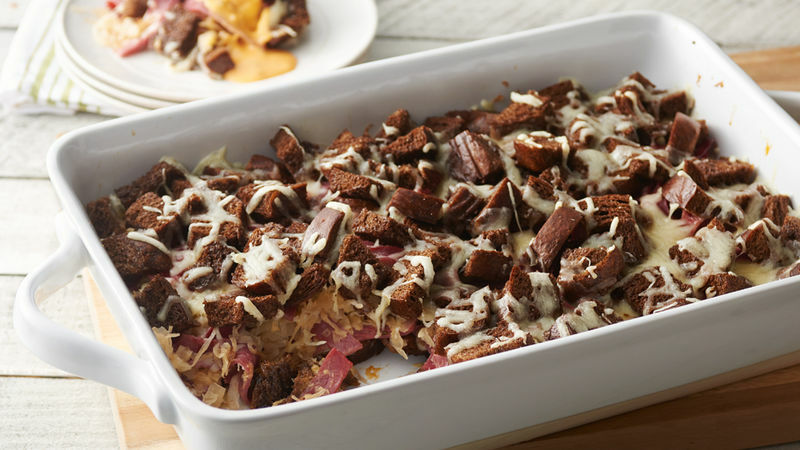 Top with layers as follows: 2 cups of the corned beef, 1/2 cup dressing, the sauerkraut, caraway seed, 1 cup of the cheese, remaining corned beef and remaining 3 cups bread cubes. Cover with foil; bake 25 minutes. Remove foil; sprinkle with remaining 1 cup cheese. 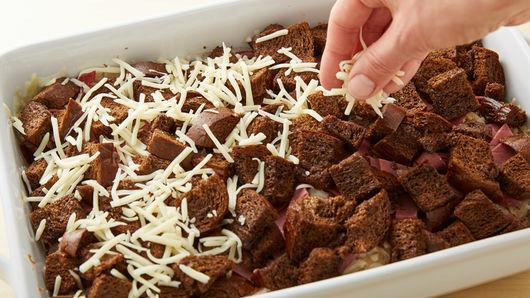 Bake 5 to 10 minutes or until cheese is melted and casserole is heated through. Serve with additional dressing. 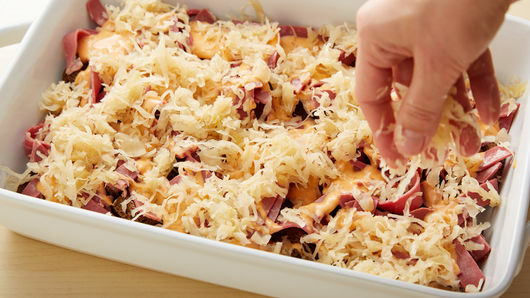 The casserole can be assembled up to an hour ahead and baked when you’re ready to eat. Don’t care for caraway seed? The casserole tastes great with or without.